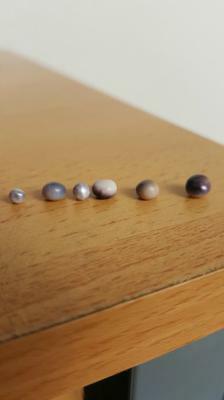 I found these pearls while I was fishing in Norway. I was pleasantly surprised to find the pearls while trying to eat mussels. 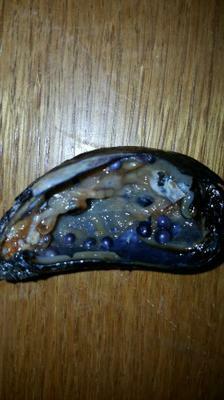 You are buying 10 grams (50 carats) of blue mussel pearls. You may purchase more than 10 grams. 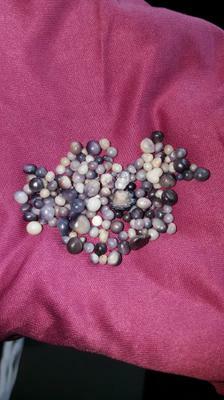 There are so many amazing things folks could do with 10 grams of blue mussel pearls, like make clusters of grapes for one example. 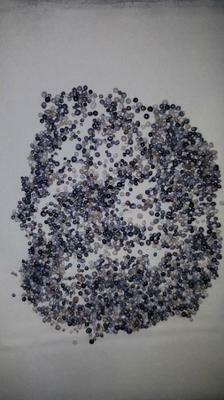 Return to Listed - Blue Mussel Pearls .